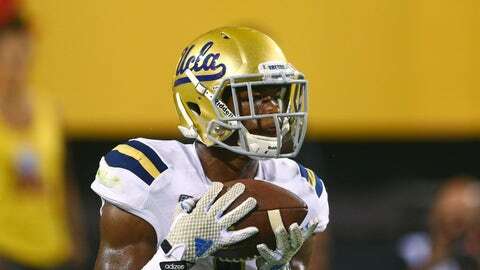 UCLA's Ishmael Adams had a great interception vs. Colorado. UCLA took an early 7-0 lead vs. Colorado, but the Buffaloes were driving back and ready to even the score. Bruins’ defensive back Ishmael Adams, however, wasn’t going to let Colorado have its way. After a 16-play drive for the Buffaloes, Adams intercepted the ball and returned it 96 yards for a UCLA touchdown. The score gave UCLA a 14-0 lead vs. Colorado in the second quarter.